Even though preschool is September through May, our childcare stays open throughout the summer. We are open from 6:30 am to 6 pm. Even though we are open for 11.5 hours, a child can be here no longer than 10 hours. The room stays routinely the same from school year to summer (see schedule below). A summer packet will be given out in May. This includes a calendar of events, some guidelines for the summer, and a list of the staff that will be in your child's room. In addition to the packets received at the beginning of care, staff post the week's schedule every week, along with snacks and lunches provided by AGC. Staff utilize the church's Family Life Center, the Shueyville Community Center and the large yard to provide various areas to the children. Every week, Heather Nekola, from the church office, speaks with the children. He shares a story, ask questions and gives the children time to speak and ask questions. Any other day, a staff member will do something similar to that to share the word of God. Our summer staff members are current and past employees who return each summer. Their shifts stay relatively similar all summer long to keep consistency for the kids. Transportation for field trips is provided by College Community School District. On every field trip, we travel with the school age childcare so we can share a bus. An extra staff member is scheduled on the days we travel so there is more staff per child. Because there is no preschool over the summer, each child lays down for nap or rest time (4 year old's), a blanket and pillow can be brought for the child. On Fridays, the items will be sent home to be washed. We have contracted with Preferred Food Services of Coralville to cater daily lunches. If you choose to have your child eat a lunch from home it must meet the Department of Human Services' Lunch Requirements (see Handbook). AGC also provides a snack in the morning and in the afternoon, along with milk or juice for lunch and snack. To help enhance social skills, AGC utilizes PBIS (Positive Behavioral Interventions and Supports). This is a center-wide discipline program that provides tools for schools to use to help their students gain appropriate behaviors in school environments but as well as outside of school. See the link for tools you can use at home. ** We leave for field trips anywhere between 8:30 and 10:30 and will return at 1:30 at the latest. To apply for enrollment, go to our Enrollment tab and fill out the form. The AGC office will be with you in next couple of days. There is an enrollment fee for the summer's planned activities, supplies used and a t-shirt. This fee needs to be paid before summer care starts. The t-shirt is for field trips. The staff found it easier to keep track of the kids when they all wore bright t-shirts. Summer tuition will differ from the preschool year's tuition due to the extra amount of time in care. ​All Tuition is collected via Electronic Funds Transfer (EFT) bi-weekly. The Enrollment fee can be paid either by EFT or check. This fee includes a fee for supplies and activities. There is a $20.00 Non-Sufficient Funds return fee. IF for any reason you are in need of special payment arrangements, please discuss your needs with the Director. We believe that we have created a wonderful place where your child can feel safe and special every time they walk through the door but we also understand the need for affordable education and childcare for today's growing families. 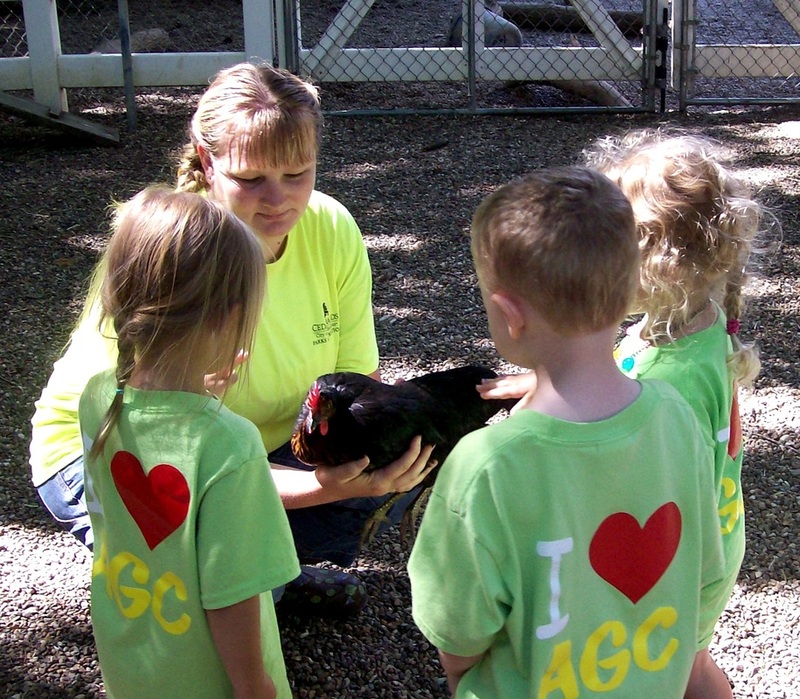 For more in depth information on All God's Children's School Age Summer Program, see our Handbook. 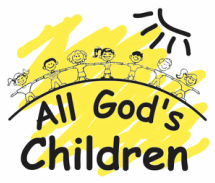 2017 All God's Children Preschool and Childcare Providing quality education and childcare in a loving Christian environment.